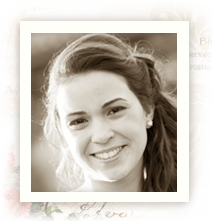 Today we are honored to present Teresa Dieguez Risco, a new talented member of our Design Team. There is no doubt she will be able to create the most magic projects using our papers, and we are thrilled to have her on our team this year! So let’s give a warm welcome to Teresa and get to know a bit more about her and her passion for paper crafting! My name’s Teresa and I live in Madrid with my husband and our two furry babies. I’m doing a phD and love to spend my free time in my scraproom playing with pretty papers, flowers and inks. I love making layouts, and they tend to be layered and have lots of details. I think my style is shabby, love using soft colors, flowers…so I love Pion’s papers! I also try to incorporate new techniques and usually play with inks and mists. I’m really honored to be a Pion Design Team member! I used the “Studio of Memories” papers to make this layout. The gorgeous tones and pretty patterns in this collection make it perfect both for masculine and feminine layouts , and in this case I decided to make a male page.